Christmas is here ! But please be mindful and don’t indulge yourself into ever growing mentality of consumerism and materialistic culture. On this blessed occasion of Jesus Christ’s coming to our world let us do something which will make him truly joyful. Its not buying unnecessary expensive things which we don’t really need. Instead of making our society and home a market place (just as in the days of Jesus, people turned the holy temples of God into market place and Jesus himself drove them out. Which symbolizes the shunning of materialism) … let us celebrate this Christmas in some true giving spirit. We all know how much Jesus loved children (and i know you also do!). 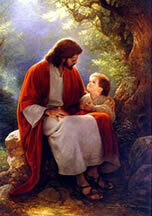 Jesus said, "Let the Children come to Me and do not prevent them; for the Kingdom of God belongs to such as them, Amen. I say to you, whoever does not accept the Kingdom of God like a Child will not enter it. Also we read, Jesus called a little child and had him stand among them. And he said: "I tell you the truth, unless you change and become like little children, you will never enter the kingdom of heaven. Therefore, whoever humbles himself like this child is the greatest in the kingdom of heaven (Matthew 18: 2-6, from New International version). 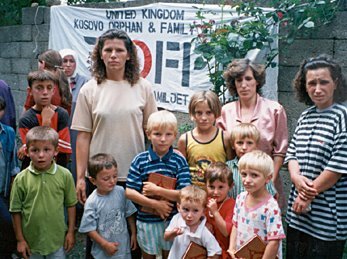 Let me introduce an organization which works for the less fortunate children in war and natural calamity stricken areas. Its name is Small Kindness and they are doing very wonderful works around the world. Perhaps one of the best organization i know of that works to benefit the poor and children for real. The chairman of this organization is former pop singer Cat Stevens who dedicated his life into such humble work. Let us open our heart and mind and donate for the less fortunate children who hold the kingdom of heaven in their heart. Let us donate (be it very little or more) in the name of God as well as remembering Jesus Christ and his love for children. Please visit small kindness website to know their activities and then decide for yourself. A small kindness from your part is a very big life changing factor for a less fortunate child. Lets see if we can love our neighbors across the world as we love ourselves. Otherwise whats the use of such knowledge of scripture and holy books? And what to answer on the Final Judgement before God? May Father in Heaven bless our intentions and accept our efforts. Amen. :: Small Kindness website. Click here for your share of small kindness.